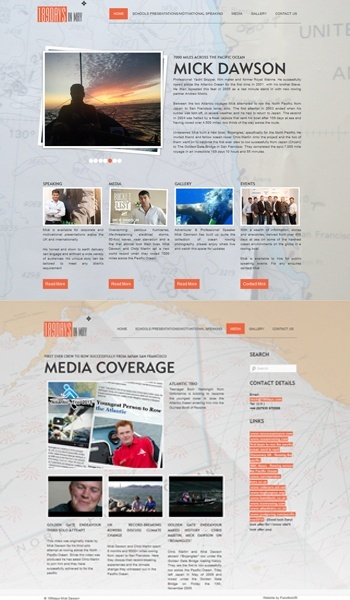 Mick Dawson is a Professional yacht skipper, film-maker and former Royal Marine turned motivational speaker after successfully rowing 7,000 miles across the Atlantic Ocean.Mick came to Function28 wanting us to design and develop a new website for him. The new site had to be easy to use and be able to cope with large amounts of video coverage. ‘I have worked with Russ Murch and ultimately ‘Function 28’ for over ten years now. I have employed Russ and his company many times over during those years to create websites for both my personal requirements and several work related projects for my employers.